Lake Taupo Lodge offers 5 Star Luxury accommodation with dinner by arrangement. The focus is on gracious living and the six guest suites are luxurious examples of world class accommodation. 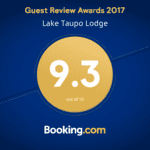 Lake Taupo Lodge prides itself in the care and attention that we put into our guests. From the moment you arrive you can relax and let us look after you in style and comfort. Relax, unwind and soak up the atmosphere in this lakeside retreat in the volcanic and fly fishing heartland of New Zealand. This award winning, luxury bed & breakfast lodge is a designer's delight. Inspired by Frank Lloyd Wright, it is set within magnificent landscaped gardens overlooking beautiful Lake Taupo and the mountains. 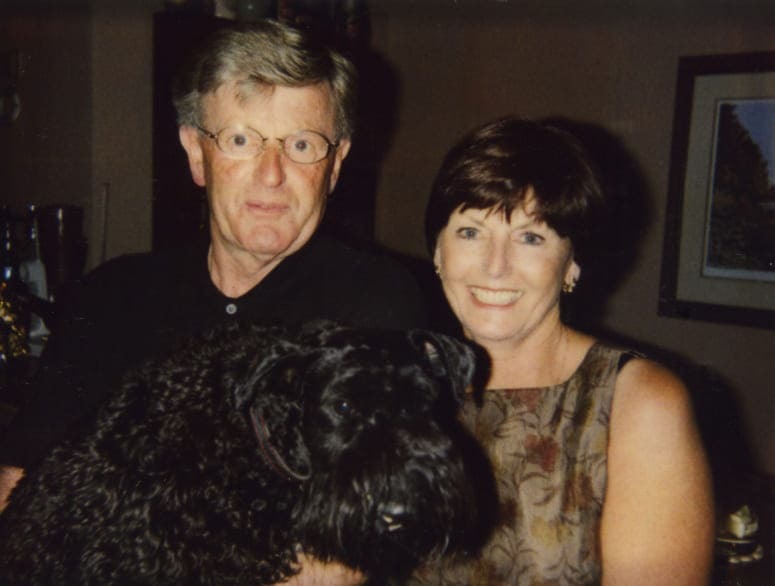 The creation of Lake Taupo Lodge began 30 years ago when Gary and Shirley purchased 10 acres of wild bush in Acacia Bay overlooking Lake Taupo. "Thank you for fêteing us at your palace of trout!" "Gary, what a magical interlude we’ve enjoyed at your lake retreat. You and Shirley are such warm hosts and Chris is a wizard in the kitchen. We especially loved what Chris did with Gary’s trout and we can’t forget Baxter and Zoe, fluffy companions to those 3 lovely felines." "Thank you so much for a cosmic stay. All the best." 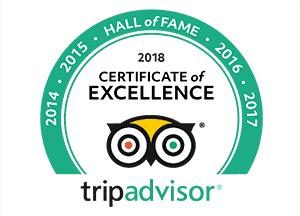 "I will never be able to thank you enough for all your kindness and warmth both you and your staff gave to me while guesting in your lodge. You made me feel as if it was partly my home too. I shall always feel that way." "A wonderful weekend of rest amid the madness of filming. Great R&R, great food and great people, thanks, until next time"
"The Perfect Stay!!! Great attention to the smallest detail and all the big things - Food, Comfort, Relaxation, absolutely top of the league. Thanks to you all!! I'm a new man, who was once "
"I so enjoyed sharing my time and art with you, let’s do it again!" "My son and I enjoyed several days here – using the venue as a base camp (a luxury base camp that is) for hiking and trekking in the Lake Taupo area. Staff (i.e. chef Chris) and hosts (Gary and Shirley) made every moment enjoyable. We would return!" "What a thrill to stay at such a beautifully designed Frank Lloyd Wright inspired house in such a beautiful garden.. Gary’s hospitality was also wonderful!" "You made our stay memorable with warm hospitality, eye for detail. Lake Taupo Lodge is truely a special place. Joe caught 25 rainbow trout in one day over 20inches. Stories will be told on stellafong.com"